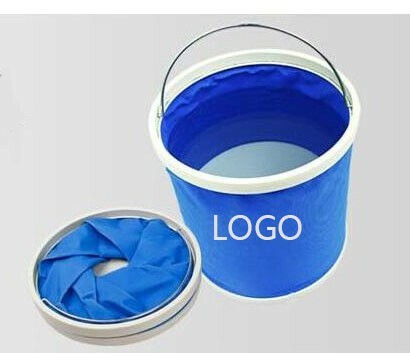 The bucket body is made of lightweight but durable synthetic waterproof material. Upper ring and lower bottom are plastic (PP). Only used under 60 degree Celsius water. It is user-friendly design, easy to carry, not the space for a wide range with a lightweight, space-saving, easy to carry, durable and so on. Custom logo can be imprinted with all colors. Price includes 1 color 1 side 1 location with silkscreen imprint. 9 7/16" x 8 9/16"
Imprint Size: 5" x 6"
Package: 1 pc/opp bag, 40 pcs/ctn, 51 lbs/ctn.